“Start with the New Testament, not the Old”, the pastor added as the praise team crescendoed the vamp they had been playing during the benediction. The words, an afterthought to his charge to “Read your Bible daily.”, were nearly lost in the musical playout. Last post I mentioned how a guest pastor at our church had strongly encouraged us to read our Bible’s daily and how, though I had heard this many times before from pastors, this time it manged to motivate me. I also mentioned that I have since been reading a daily Bible in a Year plan on the app from Bible.com. I am not exactly new to Christianity. While there are many parts of the Bible I am quite sure I have never read, I have read and heard enough from the Old Testament to know what he was talking about. You know, God striking down huge populations of people to make room for the Israelites, or the alarmingly severe penalties for sins most of us are guilty of on a daily basis. What I was not prepared for though is much of what I have had to read so far. You see, it started in Genesis, as one would expect. Some good stuff there with the Creation story and Noah and Moses. But what is also there is the genealogy. If you think all the “begats” in the beginning of Matthew are a strain to read, just try Genesis. The 32 verses of Genesis Chapter 5 taking us from Adam to Noah are just the warm up. There are 32 verses in Chapter 10 just to let us know how Noah and his kids repopulated the earth. Then we have some variation in Chapter 14 talking about a lot of kings and who battled who and who allied with whom. Not genealogy per se, but still a lot of names! Chapter 25 gives us Abraham and his descendants in great detail. Chapters 30-35 give us details on Jacob and his kids, albeit mixed in with story as well. Chapter 36 covers Esau’s crew. Chapter 38 details Judah’s bunch. I get that knowing how people are connected is important, but all of those names can be difficult when thrown at you at once. Especially if you don’t yet know which ones are critical to know and which you will never hear again. It can be overwhelming! So I have started to understand why that pastor said what he did. 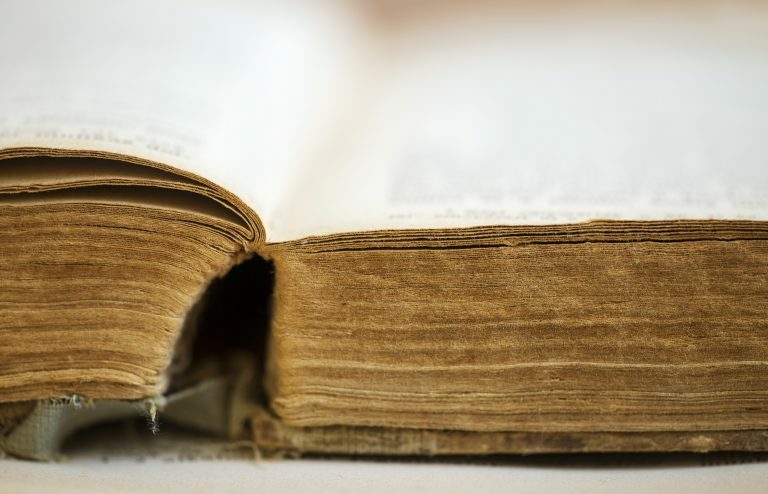 When it comes to the Bible, unlike most books, it doesn’t hurt to peek at the ending! If you are doing a Bible in a Year type plan, just be prepared for it. But if reading on your own, maybe focus more on the New Testament as it seems it is better, in this case, to know where we are going before knowing from whence we came.